ASSET INSIGHTS co-authored the worldwide standards for RFID, and we are using that insight to develop software to help organizations to track and manage their valuable physical assets using wireless RFID tags. Using our products, organizations can optimize their business processes, reduce costs or increase revenue, and improve customer satisfaction by integrating real- time wireless information from physical assets into their business processes. Working with some of the largest companies in the world, including Wal-Mart, P&G, Kimberly-Clark, and others to define the EPCglobal standards (ALE and EPCIS), we have developed a unique way to leverage the Internet to enable any size company anywhere to take advantage of our products and benefit from the same advanced technology that large organizations have already begun to adopt. 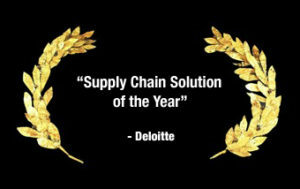 Our web-based solution, the Asset Management Savant solution, is the next generation product based on insights from our founder’s leadership of the RFID project which was awarded “Supply Chain Solution of the Year”, by Deloitte in 2003. ASSET INSIGHTS offers the Asset Management Savant product as a multi-tiered, internet-based RFID solution, to simplify implementations, and increase reliability. Our XML architecture allows the system to easily integrate with existing enterprise and partner applications. We support all types of identification technology including Passive RFID, Active RFID, RTLS, WiFi, UWB, Barcode, Biometrics and sensor systems, in any combination. Our Savant solutions can be deployed on premise, hosted at a datacenter, or run on a cloud computing platform. We support Any Application, Any Tag, on Any Asset, Anywhere. Retail suppliers, manufacturers, government agencies, Department of Defense (DoD) suppliers and contractors, and many other enterprises can take advantage of a sophisticated RFID solution that can be customized to meet unique customer requirements, while providing real-time visibility into complex operations. With ASSET INSIGHTS’ RFID solutions, RFID information can be easily integrated with existing infrastructures for improved business intelligence, asset management and operational efficiency.